Replies: 236 (Who? ), Viewed: 93827 times. 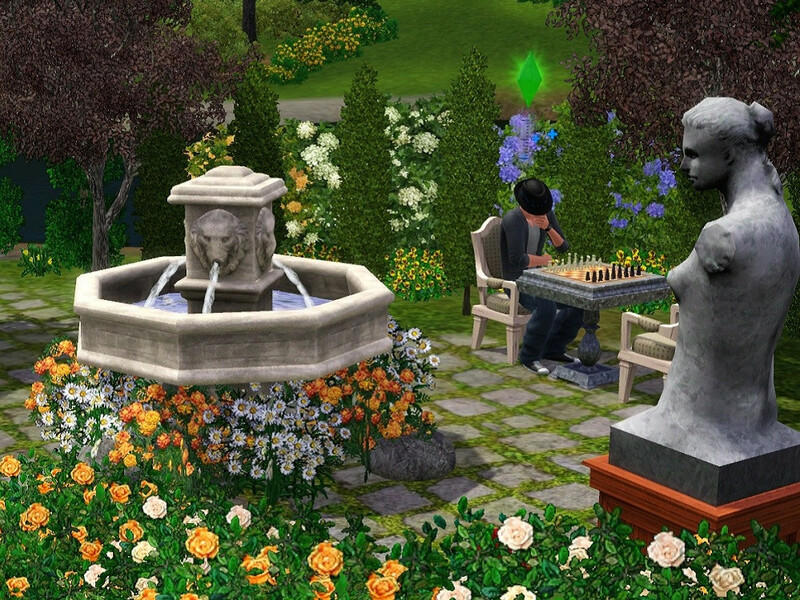 Use your creativity to showcase your sims in a shot fitting for each month of the year. The picture should be a scene with sims in it representing the "feel" of a particular month. Have the family gathered for Christmas dinner? Take a picture! Beach party in June? Please use northern hemisphere seasons. The contest begins December 1st, as soon as this is posted. Contestants will have until December 28th to post pictures. However, if a month fills up before that date, that month will be closed for new entries and judging. Theme – 10 points Does your picture represent the month you chose? Style – 10 points Use of space, props, is it pretty? This is 33 points x 3 judges will be a maximum of 99 points per entry. Each month in 2012, the corresponding winning image will be posted in site news. Also, a calendar will be made for download with each winning month. If you don’t get a spot in your month, or want to post for more than the allowed amount of months, or just want to chat about the entries, please post in our Chat Thread! Last edited by heaven : 15th Jan 2012 at 4:38 PM. Last edited by heaven : 15th Jan 2012 at 10:43 PM. Last edited by Riptide651 : 11th Dec 2011 at 2:58 AM. Riptide, please refer to the "How to Enter" section above to see how to attach an inline picture and edit your posts. If they are not entered properly, they will not count. Last edited by heaven : 1st Dec 2011 at 4:51 PM. Last edited by Ghost sdoj : 1st Dec 2011 at 8:06 PM. Last edited by Luckk : 2nd Dec 2011 at 1:07 AM. Luckk - your picture is 1000x700. You wouldn't happen to have an uncropped version to resubmit (1000 x 750), would you? Thanks for fixing them. Psst, next time, you can just click 'edit' and add them there. Off to update list now. Ah, just edited my post with the original, uncropped screenshot. Luckk, the picture MUST be 1000x750 as stated in the rules. I asked if you had uncropped so you could then crop to the correct size rather than trying to resize and distort what you had. Sorry for the confusion. Okay, I figured out what was wrong. The first picture was accidentally 1000x700 rather than 1000x750 (Don't know how I missed that). When you asked for the uncropped I thought you meant the original. I never resized anything. Sorry for that. It has been fixed. Yay, sorry about that. Confusion on both ends! Updated the contestant table now. Just out of interest, if there end up being less than 15 entries for each month, will we be able to enter more photos because I have got many! Noone expects the spanish inquisition! My simblr and my downloads blog . Resized... sorry, I forgot to change the size. Last edited by Majuchan : 6th Dec 2011 at 4:35 AM. Majuchan - your picture needs to be 1,000 x 750. Right now it is 1,024 × 768. Please resubmit with the correct size. (Just edit your post and change the image). Last edited by Morphead : 26th Dec 2011 at 11:50 PM. Fun fun fun! I love it! I can't wait to see everyone else's pics - they're all beautiful so far! You've taken some amazing pictures everybody ^.^ Well done! Well, I've got a couple of nice screens. Might as well try my hand at this. I want to say... March. Dang it, Cactusimotion! That's VERY similar to an idea I had planned for November.